A recent paper draws to a close the discussion on dietary fats, using perspectives from a variety of researchers from different fields, and aims to set new, more appropriate, questions for nutrition research to address. Led by David Ludwig of the Harvard T.H Chan School of Public Health (MA, USA), a collective of researchers from a variety of fields has provided their differing perspectives on dietary fats. The result is the production of a paper discussing the benefits and drawbacks of high and low fat diets in combination with contrasting amounts of carbohydrate. The paper concludes that the quality of diets and the type of fats consumed makes more of an impact than the proportion of fats consumed. High fat consumption leads to obesity, diabetes, heart disease, and possibly cancer, therefore low-fat diets are preferable. Processed carbohydrates have a negative impact on metabolism, so low carbohydrate diets with high fat as the main sauce of energy are better for health. The proportions of fat and carbohydrate are inconsequential to health when compared with the types of fat or carbohydrate eaten. 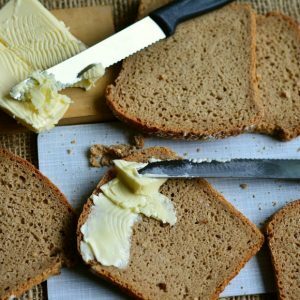 The team came to the conclusion that the dietary model that was most successful at maintaining a healthy weight and reducing chronic disease risk, was to substitute trans or saturated fats and refined carbohydrates for unsaturated fats, wholegrain carbohydrates and non-starchy vegetables. With this diet, the relative quantities of fat and carbohydrate can vary greatly and still result in overall health. Hopefully, with these new parameters for research, dietary recommendations can improve and we can find some new ways to address the tide of obesity that continues to rise in western cultures.